When it comes to your pet, we know that they are a part of your family! And since they are a part of the family, why wouldn’t you want to prevent them from becoming ill in order to ensure that they are in the best of health? An ounce of prevention is a pound of care. East Valley Animal Hospital knows the cost of prevention is often only a fraction of the cost to treating a disease. We not only want to provide excellent pet care near you but also good preventative health care to save you money in the long run. We serve the Gilbert, Chandler, and Mesa area providing knowledgeable veterinary services to keep your pet at their healthiest! Be Loyal and Patient: Pets need their owners to be dedicated and committed to the companionship. Pets are not always as well behaved as one would hope, so it is important to give them patience. Time with their owner is also key to your pet’s emotional health. Diet: It is important to provide not only yourself with good, healthy food but also your pet, as well. They need a nutrient-rich diet, according to their breed, and plenty of water. This will limit the sicknesses and diseases that they could catch. Diagnostics: Get regular check ups for heartworms, fleas, ticks, and other preventative testing. Identify Your Pet: It is imperative that you provide your pet with a collar that has ID tags on it if possible. The ID tags allow for your name, address, and phone number to be on there in case of the possibility that your pet gets lost. Parasite Control: Take time to get your beloved pet checked for heartworms, external parasites, and internal parasites. Regular Check Ups: Just as we as humans should be doing regular health check ups, our beloved pets also need regular check ups. It is the best preventative care to catch anything before it comes and, if you have an older pet, they may need more regular care. Spay/Neuter: Spaying or neutering your animal actually provides them with longer, healthier lives and decreases negative behaviors in your pet. This routine surgery also helps to address the overpopulation of pets. Training: Enrolling your pet in training classes, if applicable, will allow for behaviors to be controlled in a safe and humane way. It will ensure you and your pet can become closer companions. Vaccinations: Following local laws when it comes to vaccinations for your pet is key to keeping them healthy and keeping you on the right side of the law! There are several options to ensure your pet has the best preventative health care plan for them. In any case, the best course of action will also be to have your veterinarian at East Valley Animal Hospital personally plan steps for your pet. 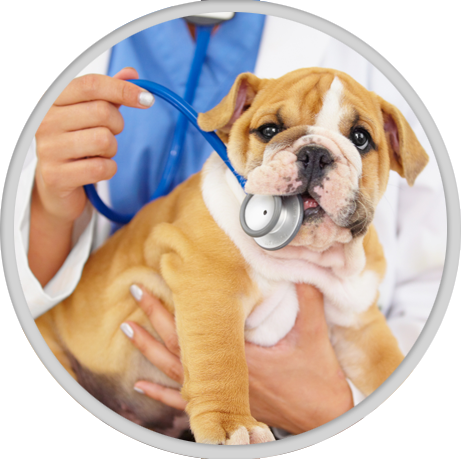 We provide comprehensive preventative care plans for your pet to keep them in the best shape of their lives. For further information on the importance of a yearly wellness exam for your pet, stay tuned for our next post!